134.75 ACRES!!! YOUR PIECE OF PARADISE! 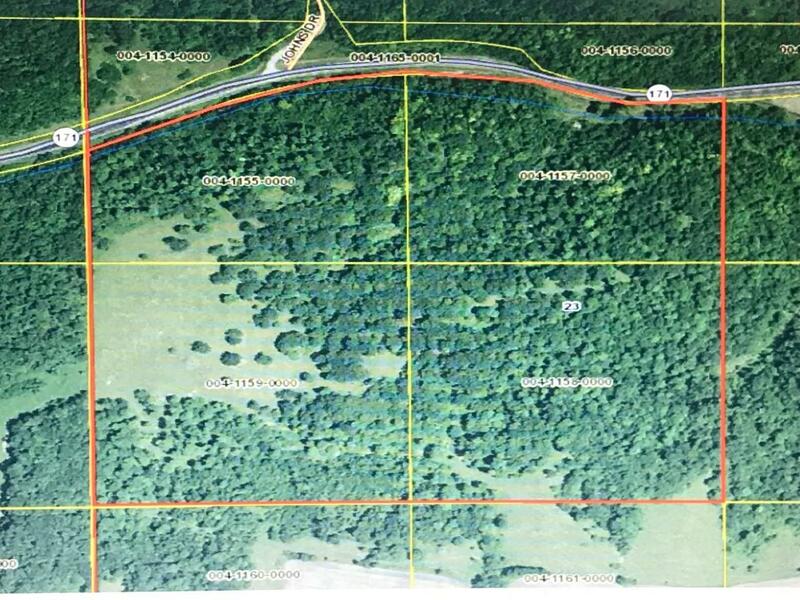 THIS IS AN AMAZING PROPERTY WITH RIDGE AND VALLEY, WOODED TO OPEN PASTURES- EVERY OPTION FOR WILDLIFE, AND THE TAXES ARE ONLY A COUPLE HUNDRED A YEAR!!! THIS PROPERTY HAS BEEN IN MY FAMILY FOR GENERATIONS, AND IT WILL SATISFY YOUR EVERY DESIRE FOR PROPERTY. HUGE BUCKS, PLENTIFUL VIEWS, BUILDING SITES, AND ABSOLUTE PIECE AND QUIET! CALL FOR YOUR PRIVATE TOUR TODAY AND YOU COULD BE HUNTING IT IN WEEKS!!! Listing provided courtesy of Maplewood Realty.